Turn a USB port into a virtual 7.1 channel Sound Card - This USB to Audio Adapter lets you connect headphones or speakers, and a microphone to your computer without the need to unplug other devices! 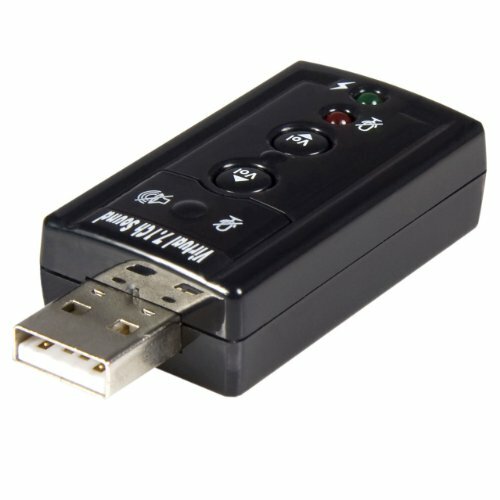 Compliant with USB 2.0 and USB audio device specification 1.0, this USB to audio adapter couldn't be any simpler to install. Compatible with Windows 98SE and up, the USB Audio Adapter integrates into any computer environment, providing superb sound quality and convenience that can't be matched. Included with the USB Audio Adapter is the Xear 3D software for virtual 7.1 channel sound for use with Windows XP and Windows Vista™.